Miraculous™: Tales of Ladybug & Cat Noir: It’s Ladybug! When Paris is threatened by super villains, two amazing heroes are our only hope: Ladybug and Cat Noir! With the help of their magical kwamis, this incredible duo team up to outwit the forces of evil… but their biggest challenge might be getting through school. In their normal lives, Marinette and Adrien are just a pair of young students, but in reality, this terrific twosome must juggle schoolwork, friends, family and growing up in a world where every day is a high-flying adventure! A top TV show, Miraculous™ is quickly becoming a worldwide phenomenon. It’s Ladybug! is available now for pre-order on Amazon.com and Shout Kids. 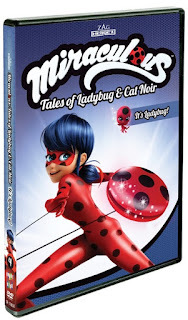 One winner will win a dvd copy of Miraculous™: Tales of Ladybug & Cat Noir: It’s Ladybug! I would give this to my daughter. She loves this series. I'd give it to my granddaughter! Both my two kiddos love this show. 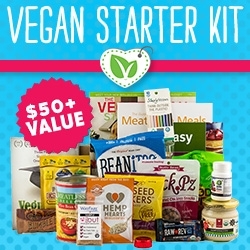 Id love to win this. Tales of Ladybug & Cat Noir:It’s Ladybug DVD. Who will you give this prize to? I would give this DVD to my niece. I would love to give this to my niece! My kids would definitely enjoy this.